1930 Lancashire. Times are hard and jobs are scarce, but when Leah's father dies she has to find a way to support her little sister. She moves to the small village of Ellindale at the top of a Pennine valley and though she's a quiet woman, she sees a way of making a difference to people's lives. Can a fizzy drinks factory succeed in these troubled times? Will her determination carry her through? Not everyone wants her to succeed. I read JB Priestley's 'English Journey' about a journey round England during the depression years, and he commented about how much more cheerfully the people in Lancashire and the north faced their problems. I wondered what would happen in one small Pennine community and naturally I went back to the Rivenshaw area, but this time to the village at the top of the valley. There wasn’t one thing I didn’t love about this book, and if I could give it more than 5 stars I would! 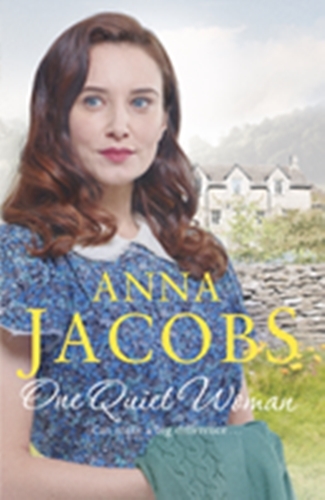 If you’re looking for a wonderfully written historical fiction book that will leave you with a warm fuzzy feeling, and also a desperate need to read the next book, then look no further!